Pedia Pals was launched by Wendy and Ed Powell in August 1998. In 2000, the pediatric medical supply company and manufacturer acquired ZooPals®, which manufactured and marketed pediatric exam tables in the shape of smiling animals. In March of 2009, the company was passed on to second generation family owners Amanda and Jon Powell. Both having served in the Air Force, and Air Force Academy graduates with Environmental and Mechanical Engineering degrees respectively. In Sep 2018, the company moved its headquarters from Minneapolis, MN to Buffalo NY to expand into a larger capacity manufacturing facility in the Hard Manufacturing Facility with over 300,000sf office, manufacturing and warehousing space. Pedia Pals designs, manufacturers and markets pediatric medical supplies and equipment. 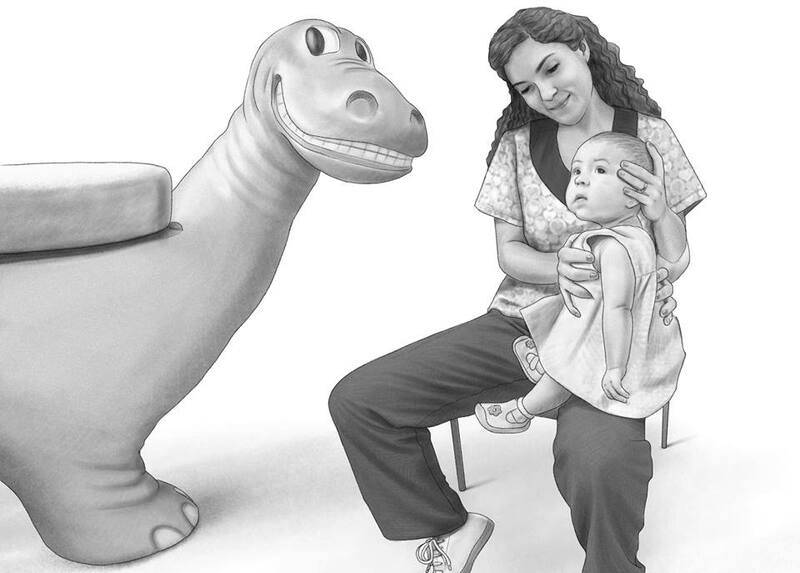 The idea behind Pedia Pals’ child friendly pediatric exam table began with Ann Kochsiek, founder of ZooPals. Her son, Ry, had been diagnosed with leukemia at age 4. Ann discovered that taking him to the hospital for treatment involved examinations on a table that Ry and other children agreed was “cold, scary, and very unfriendly.” Ann designed and patented a number of animal-shaped exam tables that have become favorites in pediatric offices all over the world. Today, Ry is a healthy college graduate. "Our patients love the ZooPals tables. Many families enter the room and begin to talk about the animals. Kids enjoy being up on the tables. The tables greatly contribute to the warm ambiance of the clinic."